Be sure to do a lot of research on what type of horse is best for you before looking to buy. Horses are beautiful, but they are not cheap. A survey conducted by the University of Maine found that the average price for a horse is $3,000. In addition, you’ll have to spend between $60 and $100 per month on average for basic care needs like food and feed supplements, Equine.com notes. Routine medical care can set you back $300 each year for a healthy horse, and you should also pay to have a farrier come and inspect your horse’s hooves every two months or so. A check-up and trim costs about $30, while shoeing can add an additional $80. Investing in all-natural horse products ensures your new friend is always in excellent condition. 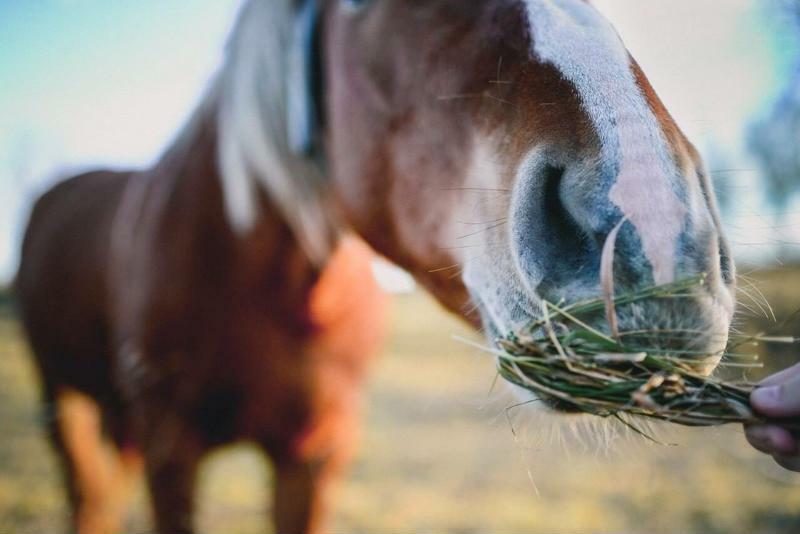 There are vitamins and supplements to meet every nutritional need your horse has. Buying a horse means you’ll also have to invest in food, supplements and medical care. In addition, you will have to find somewhere for your horse to stay. Owners planning to keep horses on their property should have at least two acres of good, graze-worthy land and a sturdy barn. Those without a large piece of property can board their horses. Pasture boarding generally costs $100 to $700 per month, while boarding in a stable can cost upwards of $500-$5000. Riding lessons do more than teach you how to sit in a saddle. You’ll also learn how to safely interact with and groom your horse, and taking lessons from a trainer gives you an established local contact should you need any advice or information. It is beneficial to spend as much time around horses as you can before owning your own. Doing so makes you more comfortable around them, and you will learn how to adapt to their different temperaments. Buying a horse should never be an impulse decision. You need to know what size and personality works best for your lifestyle before you even start looking. The type of horse best suited for your needs depends on how you like to ride and who you’re buying the horse for. For example, you do not need a large and powerful horse when buying for a child. Instead, you should choose one that is smaller and well-mannered. You also do not need a large horse if you plan to ride Western – in fact, a bigger horse is a disadvantage when competing because he or she will have to work harder to keep their strides small, noted Winter Rose Equestrian. In terms of gender, Winter Rose cautions that new owners should only consider purchasing a mare or gelding. Some mares are demanding when in heat, but they generally have pleasant personalities. Geldings are also great for new riders, especially if they were gelded before turning 2 years old. Stallions, on the other hand, are much too rowdy for inexperienced owners. Regardless, you should not buy a horse with the notion that you can alter his or her personality. Horses can learn new tricks, but they do not change their attitudes easily. Horses get lonely when left by themselves just as humans do. Purchasing a second horse is best, Petful notes, but another barn animal will work as well. If you plan to board, ask the property owners if your horse will have a chance to socialize with other occupants. Owning a horse is an amazing experience, but it is important to make sure you are ready before making a purchase. If you do your research and know what you’re getting into, you are certain to pick the perfect horse. If you are planning on moving to Wellington or heading down for the season and don’t know where to begin your search for the perfect farm, you can reach Anthony Howe with Century 21 at (239) 877-9513. You can also visit his websites at www.anthonyhoweproperties.com or www.gohowe.com.